The “For sale by owner” (FSBO) method seems a great way to save thousands of dollars when you sell your home. After all, the standard real-estate agent’s commission is 6% – that’s $15,000 on a $250,000 home. Given the size of this fee, you may think that acting as your own seller’s agent will surely be worth the savings. Here are eight reasons you should think again. 1. Buyers’ agents may not want to show your property to their clients. In a for-sale-by-owner deal, the buyer’s agent knows there won’t be a professional colleague on the other end of the transaction. Even if a client insists on seeing your home, the agent might discourage making an offer, citing the hassles and risks of trying to close the deal without a professional representing the seller – and without a guaranteed commission. “There are only two reasons why I show an FSBO: There is no other inventory available or the price is ridiculously low,” says Bruce Ailion, a realtor with RE/MAX Greater Atlanta. Every experienced broker has been burned by an FSBO transaction where the seller did not pay the full agreed ommission, or any commission at all, to the agent who brought the buyer, Ailion says. “FSBO sellers are viewed as unrealistic, unreasonable and difficult sellers whom professional realtors have rejected,” says Ailion. But there are buyers’ agents who will show your property under the right conditions. Philadelphia realtor Denise Baron of Berkshire Hathaway HomeServices Fox & Roach says that as long as she has a signed buyer’s agreement stating that when she shows a FSBO home that her agency gets paid, she is confident. “I also have an agreement signed beforehand by the owner who is selling their own property or home,” Baron says. The agreement states what percentage fee the seller will pay the agent. (The agent may specify a 6% commission, trying to nab both the buyer’s and seller’s side. Instead, negotiate the total commission to a more reasonable 2% to 3%.) The agreement also clarifies that the agent is only working on behalf of the buyer, and that as a buyer’s agent, she has a duty to disclose to her client all information the seller provides to her, such as the need to sell by a certain date. 2. It’s harder to keep your emotions out of the sale. Selling your home is typically an emotional process. Having an agent keeps you one step removed and makes you less likely to make stupid mistakes such as overpricing your home, refusing to counter a low offer because you’re offended or giving in too easily when you have a deadline for selling. If you forgo an agent, you’ll also have to deal directly with rejection every time a buyer’s agent tells you her clients aren’t interested. “As the homeowner, it can be quite upsetting hearing some of the comments that are made by buyers and oftentimes their agents,” says David Kean, a realtor with Teles Properties in Beverly Hills, Calif.
3. It’s not your full-time job. Can you rush home from work every time someone wants to see your home? Can you excuse yourself from a meeting every time your phone rings with a potential buyer? At the end of a long work day, do you have the energy to take advantage of every possible opportunity to market your home? Are you an expert in marketing homes? Do you have any experience doing so? Your answer to all of these questions is probably “no.” An agent’s answer to all of these questions is “yes.” In addition, by going through an agent, you’ll get a lockbox for your front door that allows agents to show your home even when you aren’t available. 4. Agents have a larger network than you do. Yes, you can list your home yourself on Zillow, Redfin, Craigslist and even the Multiple Listing Service (MLS) that agents use. But will that be enough? Even if you have a large personal or professional network, those people will likely have little interest in spreading the word that your house is for sale. You don’t have relationships with clients, other agents or a real-estate agency to bring the largest pool of potential buyers to your home. A smaller pool of potential buyers means less demand for your property, which can translate to waiting longer to sell your home and possibly not getting as much money as your house is worth. 5. You subject yourself to needless showings. An agent can find out whether someone who wants to view your house is really a qualified buyer or just a dreamer or curious neighbor. It’s a lot of work and a major interruption every time you have to put your life on hold, make your house look perfect and show your home. You want to limit those hassles to the showings most likely to result in a sale. “Realtors are trained to ask qualifying questions to determine the seriousness, qualification and motivation of a prospect,” Ailion says. Realtors are also trained to ask closing questions about how long buyers have been looking, whether they’ve seen any other homes that would work for their needs, if they are paying cash or have been prequalified, what schools they are looking for and so on. They can move a qualified and motivated person to the point of purchase. FSBO sellers lack this training and skill set, he says. It’s also awkward for buyers to have the seller present, rather than the seller’s agent, when they’re touring the home. 6. Negotiating the sale is tricky and awkward. Even if you have sales experience, you don’t have specialized experience negotiating a home sale. The buyer’s agent does, so he/she is more likely to win the negotiation, meaning less money in your pocket. Sellers who go solo also typically aren’t familiar with local customs or market conditions. “Agents know the pulse of the market and what’s driving demand, which gives them an advantage by knowing what terms are worth negotiating for and which are worth letting the other party win,” says Rob McGarty, co-founder and designated broker with Surefield, a residential real-estate brokerage headquartered in Seattle. And agents know the local customs for selling a home, such as whether the buyer or the seller typically pays fees such as transfer taxes and closing costs, Gonzalez says. 7. You can’t see what’s wrong with your home. Agents are experts in what makes homes sell. They can walk through your home with you and point out changes you need to make to attract buyers and get the best offers. They can see flaws you’re oblivious to because you see them every day – or because you simply don’t view them as flaws. They can also help you determine which feedback from potential buyers you should act on after you put your home on the market to improve its chances of selling. 8. You put yourself at risk of being sued. A lot of legal paperwork is involved in a home sale, and it needs to be completed correctly by an expert. 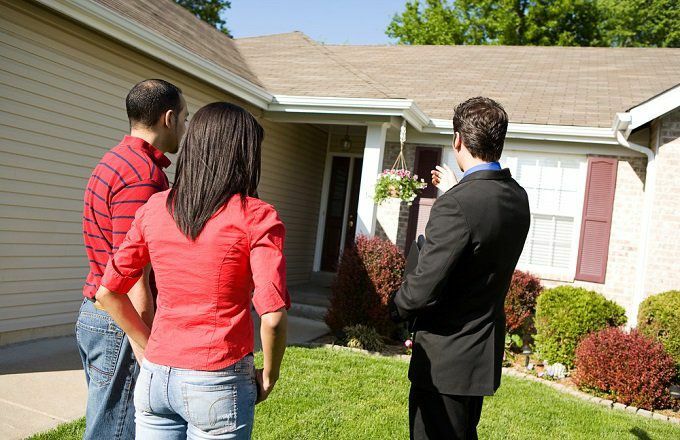 One of the most important items is the seller’s disclosures. “A seller of real estate has an affirmative duty to disclose any fact that materially affects the value or desirability of the property,” says Matthew Reischer, an attorney, and CEO of LegalAdvice.com. The seller can be held liable for fraud, negligence or breach of contract if he/she does not disclose properly. “The issue of whether a fact is material or not is generally established in the case law of the state in which you live,” says Reischer. Unless you’re a real-estate attorney, your agent probably knows more about disclosure laws than you do. If you fail to disclose a hazard, nuisance or defect and the buyer comes back to you after they’ve moved in and found a problem, they could sue you. Agents can make mistakes, too, but they have professional errors-and-omissions insurance to protect themselves and to give the buyer recourse so the buyer may not need to pursue the seller for damages. Selling your home will likely be one of the biggest transactions of your life. You can try to do it alone to save money, but hiring an agent has many advantages. Agents can get broader exposure for your property, help you negotiate a better deal, dedicate more time to your sale and help keep your emotions from sabotaging the sale. An agent brings expertise, which few home sellers have, to a complex transaction with many financial and legal pitfalls.